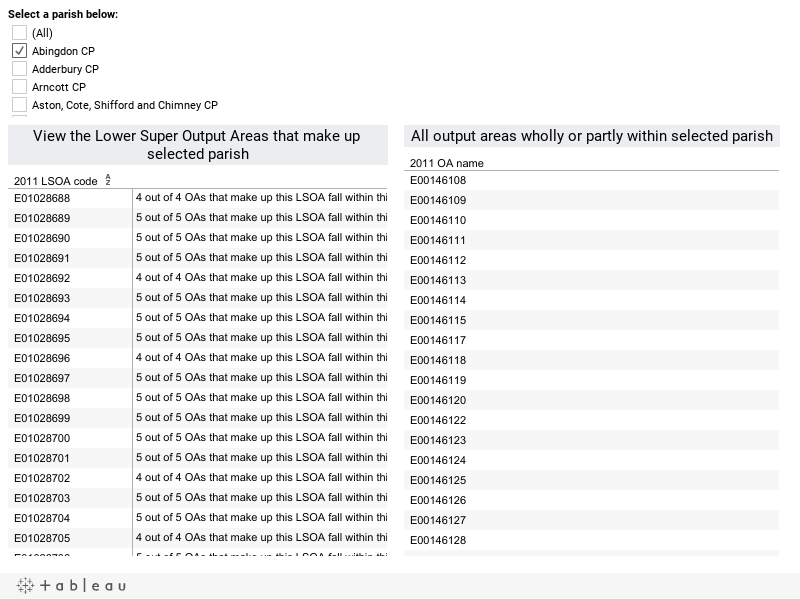 The parish-lookup tool below presents an analysis of which Lower Super Output Areas and Output Areas correspond to Oxfordshire Parishes. For the parish selected, LSOAs where two-thirds or more of constituent output areas wholly or partly within the parish selected are showin in the table. In addition, all individual OAs wholly or partly within the parish are listed for the parish selected..